I think it’s time to explain why after nearly 40 years serving on the OIPA board and holding many positions including the office of President I chose to relinquish my position as a “lifetime” member of the board. I still consider OIPA a fine organization and an excellent networking group. But they have fallen short of advocating for the small producers across the state and have become a horizontal drilling association. Nothing wrong with horizontal technology; it is a game changer. But when it trespasses on the rights of vertical producers and the OIPA board refuses even the slightest measure to give them some protections that for me that is unacceptable. Most of my time on the board we did our best to represent a broad spectrum of a very diverse industry. There are differences between oil producers and gas producers. There are differences between big and small companies and between privately held and public companies. But for most of the time we got in a room and worked out something that allowed us to speak as one voice; even though sometimes the issue was so compellingly difficult that individual board members went a different path. They were always allowed to do so and without criticism. In 1992 the board took a position on Natural gas pro-rationing to limit gas production from the biggest wells. The vote was split down the middle. The late Sam Cerny was our President and he disclosed to us all that his company would not let him support our position. Everyone understood. I could name Chairman after Chairman that spoke on behalf of the industry against their own interest. That tradition of unity with freedom and with honor I held in high esteem. That tradition along with many others is gone. Of course, change is the only constant in the world and we all have to embrace it one way or the other. However, some change requires a course correction or in pilot terms a 180 – going in the opposite direction. At the end of the day, the change that required me to resign and work toward having a voice for small producers had very little to do with one issue. It was a cultural change. The cultural change was many faceted. There was greatly diminished effort to work out differences in a way that protected all producers. Individual board members, most of whom dedicated decades of service on a non-profit board for the benefit of all, were castigated publicly for disagreeing with leadership. The tradition of what was required to be selected to be on the board was a back breaking change. Being selected to be on the OIPA board was historically an honor bestowed on individuals of good standing in the industry that had demonstrated a willingness to work, give of their wealth and their wisdom to the good of the entire industry. (Panas’s three Ws of requirements of a board member) That criteria changed to one of one W of the three- wealth. Big companies were given board positions not because an individual had worked for the industry or had acquired any wisdom thru years of hard knocks but because their company gave enough money. At the same time small, politically active and knowledgeable producers were told to “work your way” on to the board thru the many years of serving on committees. At the end, this was the practice that left the small producers without a voice in OIPA. The big company members of the board are likely very good people. It’s just a different dynamic when a board shifts from a majority of those who run their own companies to those who work for someone else with little or no experience working in the public arena. The biggest break in tradition for me was the shift in our culture as an organization that always tried to never ask for anything that was not in the best interest of our state. I know that sounds a bit altruistic for a business trade association. But it was the tradition of which I was most proud. While many will disagree, I believe we broke with that tradition when the association supported and helped a few companies get a 2%permanent tax rate for new wells drilled. I am embarrassed to watch teachers in my community have to take second and third jobs to make ends meet. The Gross Production Tax has gone from over 1 billion per year to 165 million affecting all our state’s vital services. Don’t get me wrong the position of trying to do what’s best for Oklahoma is not totally one of altruism. It’s also the best way to be a part of the Oklahoma community and has produced good outcomes for us as an industry. There is a reason Oklahoma is the friendliest state in the country to do oil and gas business. That is beginning to change. We are dropping in the public perception of our industry. OIPA’s soon to be President Tim Wiggly said it best “vertical wells are our history, Horizontal drilling is our future”. That may be so, but that is no justification to disregard the 3000 Vertical producers in the process, which is what OIPA has done. As traditional producers who run our own companies, live in communities all across Oklahoma, and as members not only of the oil and gas community but the community including our fellow men and women we can restore that voice. 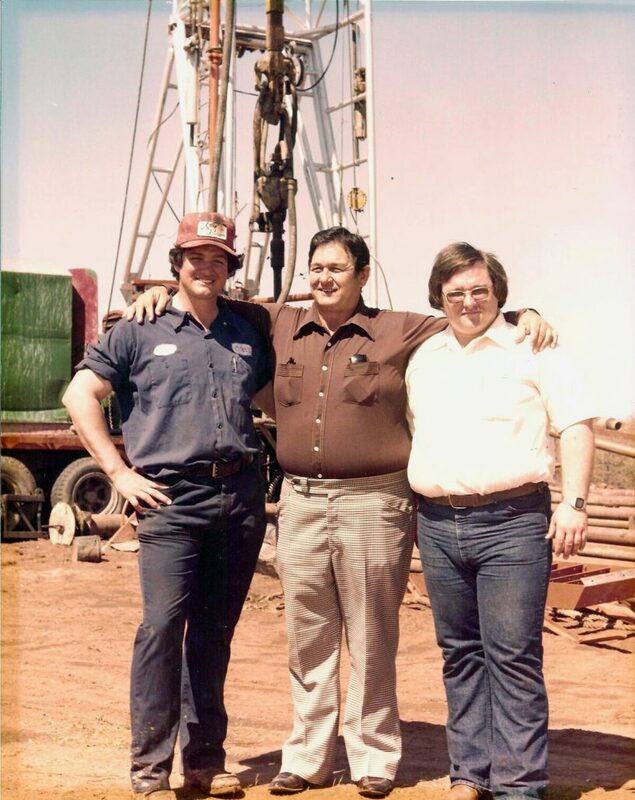 The Oklahoma Energy Producers Alliance was formed to give us that voice. I urge you to join us to make a difference for us and for our state by going to okenergyproducers.org and joining today.